L. Frank Baum's The Life and Adventures of Santa Claus chronicles Santa in three sections: his youth in the Burzee forest, manhood and the great battle of good and evil, and old age, his deputies, and the mantle of immortality. 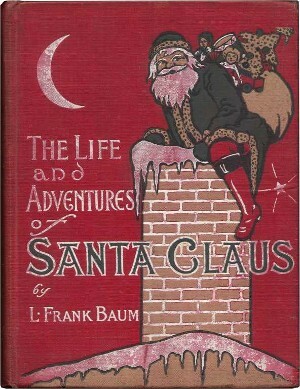 Published in 1902, illustrated by Mary Cowles Clark, Baum's book was adapted into a graphic novel, anime series, and most notably, was the last stop-motion animagic Christmas special from Rankin-Bass (1985). As Santa says, "In all this world, there is nothing so beautiful as a happy child!" MANHOOD - 9 - "Santa Claus!"